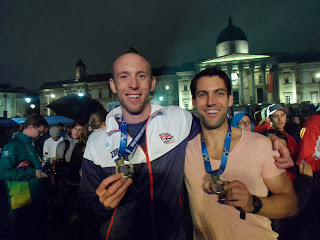 Well, its official......Iain and I have sat down and looked at his races and I am commited to him for the forseable future.....Look out Rio, we may be old (ish) but we are still pretty quick! Im really looking forward to being back with Team Dawson and having a great time racing for points on the build up to Rio. Ill obviously be doing a few solo races as well but the priority will be maintaining a good ranking for when the Olympic body confirm how the qualification system is going to work. The last few weeks have seen progression in the pool and maintenance of my running even with an annoying ankle niggle that seems to be hanging around (it's an old issue that originates from my Basketball days). Im still knocking out conservative low to mid 17min 10ks so know that im in shape for some decent 16's. Im now back to 100's off 1:20 for a 1500 which is promising with all the issues I had with my shoulder last year (yes I am falling apart, but the sticky tape is working well!). and am now progressing with some 100's in blocks of 400 swam off 1:10. The aim is to be able to cruise a 400 in sub 5 by the time the open water swims start in May......best get swimming then! Apart from the great news with Iain I am also pleased to be working with Blueseventy again this year and had a great time with the guys at the TCR show last weekend. Blueseventy are specialists, they do what they do bloody well and dont mess around in the other tri disciplines. They make great swim gear from the best materials. I am also looking forward to getting hold of some suits so that anyone interested from the local club can try them on for size....more swimmers swimming faster.....!!!! Apart from helping the Blueseventy guys out at the TCR I was also shortlisted for AGEGROUPER of the year at the 220 awards ceremony. I was up against Nick Dunn of TriCamp and Matt Malloy from Team Freespeed. It was a priveledge to be nominated and although prior to attending I was happy with just getting an invite the competitive side of me would have loved the title......But alas second to bloody Nick again, I think thats 2 all now (although I stil think I was cheated when he beat me once in the 35-39 agegroup as he was still 34! Ive just got back from a morning with the guys at Ashmei. I knew a bit about the brand before I went across to meet them as part of (or potential to be part of) their Ambassador program. My knowledge was limited to the fact they always arrived in a cool Airsteam Bus, their kit looks great, is made from Merino Wool and is built for performance. What I didnt realise was the drive and passion behind the brand and that really came across today. They have some awesome plans for the next few years and I would love to be part of that either as an ambassador or just through association with their growth, I really do wish them the best and it's warming to see a British brand (yes British) show that quality (and ultimately value) is the way to go. P.S. Do you know where the Ashmei name comes from??? For the last few years I haven't really had an off season, its been more of a " injury break". This year I have had a break for a month and find myself starting a winters block with a couple of niggles and an improvement over the long term issues I have had. The plan for sorting these out (obviously) involves listening to advice and stepping my training up slowly and consistently. I have had a Bio-mechanical assessment with Richard Green and will share some of the feedback when I get my report. I have believed for a long time that to get set a good groundwork and to become an efficient athlete in terms of technique is to do a little....... a lot. In other words to train for short periods but have a lot of sessions. 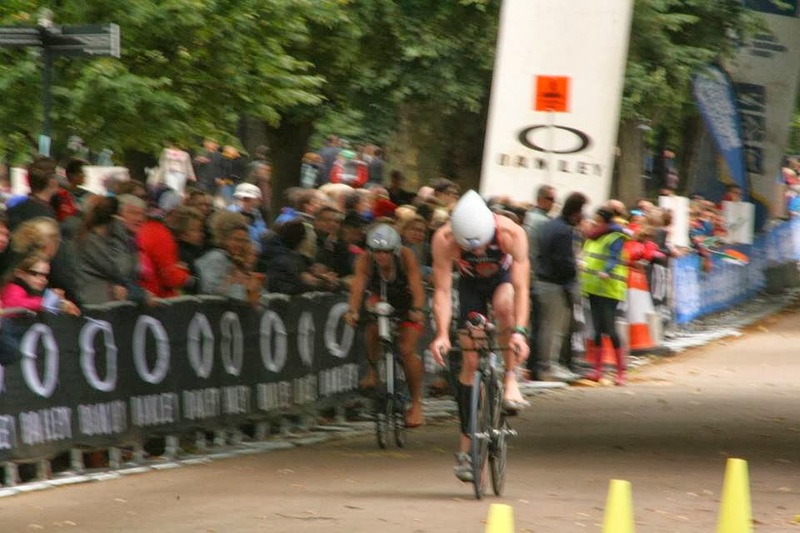 An issue I have previously had in my swim, run and bike has been fading towards the end of race disciplines. I chalk this up to a lack of 'base' over the winter so while being fully aware of my belief above I intend to do longer swim blocks and build to longer run blocks later on in the winter. To support the above I will be spending a lot of time of functional development and pre-habilitation with strength work outs and development of range of movement and left/right balance. I am setting myself No turnaround times. No expectations of times, No pace times, No power expectations in fact no measures at all at this stage. All my work outs are going to be based on quality and will be done for a reason. I dont agree with junk mileage. If I go for a long ride my focus will be cadence, If I go for a long run it will be turnover and body position. A long swim set will be Bi-lateral breathing (which is a major goal for my off season - stroke balance). For October and part of November my focus will be swim balance and run conditioning. I have cut down the hours at the weekend so I can spend more time with my Girlfriend and working on things outside of Tri. I will do events that I think will be a laugh, go to random places for a run and bike just to keep things ticking over until I feel like my run base is in a suitable place. Sat and Sun are switchable as and when it works. Race one done and thoughts turned to Sunday. 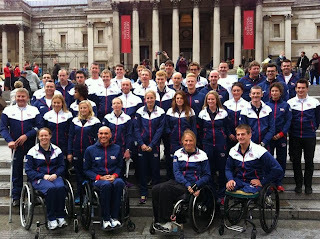 Straight after the race we headed to the GB Area and warmed down, took on nutrition and had a post race massage. 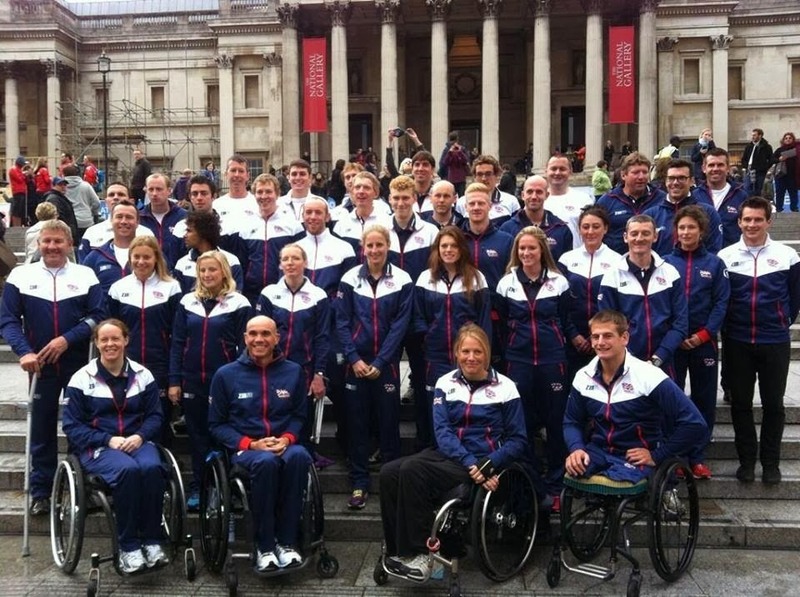 It was great to be involved in the celebrations especially with the medal haul that the GB Para-tri team had but I also had to consider my 'race' on Sunday which was starting to feel more like a burden than anything else. I really wanted to chill out, we had achieved a podium (although I wasn't sure how I felt about it at this stage, I was disappointed in the swim, pleased with 3rd, disappointed we weren't closer to Aaron and Dave but really pleased with Iain's run) and it would have been nice to finish the season there. I relaxed for the rest of the day and had a half celebration at the team meal in the evening (although did sink a few glasses of vino!). Saturday was organised chaos without the organisation, I had to be in two different places so many times that any energy I had or enthusiasm for Sundays race quickly disappeared with every mile I had to walk too and from the hotel, Race venue, GB squad room and Trafalgar square. Basically I had to rack my bike at the same time I was supposed to be at the Para-tri presentation. Despite trying to rack early at 3pm (which could not be done due to the open race being on the racking we were to use) I ended up having to run over at 6:45pm (my second attempt) coming straight from Trafalgar after the awards and although the racking was free being turned away because I didn't have my helmet with me (this was the straw that broke the camel's back (I had not been able to make the briefing due to Para-tri commitments and was mis-informed that all I needed was my bike at racking and nothing else). I was really tired and pretty pissed off about now. I had to walk my bike back, go to the hotel, find food, and I also had the small issue of having to work out the logistics of checking out of my hotel and checking back in again before 10am Sunday morning (long story about the rooms) which was the same time I was due to race (I now had to also rack my bike). I managed to sore the rooms thanks to some help from Ben Howard who was Chris Goodwin's guide on their way to a Gold in the T6a Cat, ran some further errands and managed to hit the sack at about 22:30 with the alarm set for 4:30am. I had some friends coming across to watch and with my Girlfriend making the trip down I decided I had to race, in all honesty if they weren't all there I would have pulled out. It was only the fact they had made the effort that got me up in the morning (that and the stupid amount i'd paid for entry). 4:30am, with the mindset to enjoy the sights and with the expectation of hitting the wall at some stage due to racing Friday I trudged down to racking, set-up (despite some idiot ITU official telling me Shoes weren't allowed to be clipped onto pedals - which I ignored after a lengthy conversation) worked out where my bike was located along with transition flow from that point (based on some short racking position). Between 5am and 9am I heard the swim had been shortened, which didn't bother me in the mind set I was in. Im an OK swimmer in AG, better than some, not out with the fastest and knew that there were some good runner/less good swimmer athletes out there that this would play into the hands of. If I was racing for anything I would be looking at getting 2mins over 1500 on some but only expected 40s -1m over 750 which meant I had less chance of holding on in the run. The weather looked to be improving from the Friday race but the wind was expected to pick up at 10am to 30mph gusts - this was good news for me as I do like a blustery bike - perhaps it will be good fun! There have been a lot of complaints and people getting upset about the fact the swim was shortened but the ITU made the right decision (but I would say that wouldn't I?). There are a lot of age groups and the safety aspect could not be ignored. 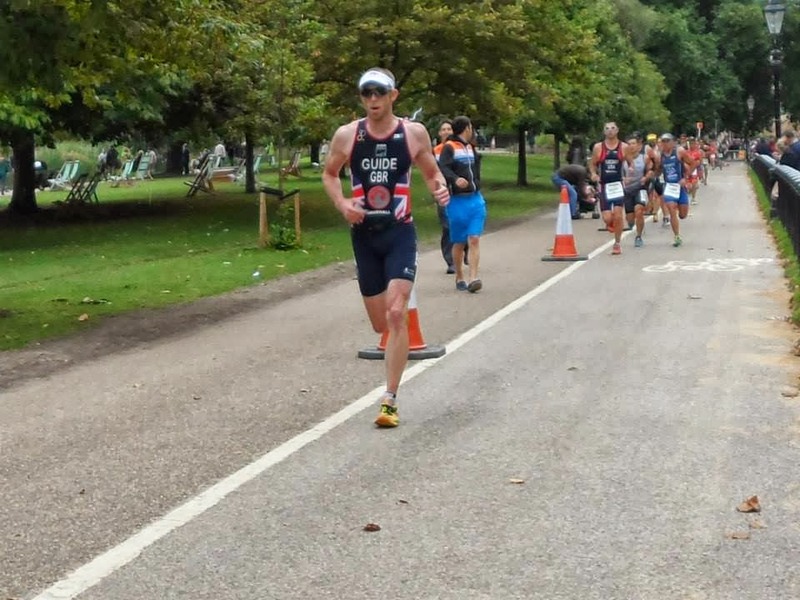 The Elites who raced the day before had problems getting warm on the bike and with some athletes (not just from the older agegroups) being out on the course for over 3hrs and being in the swim for 45mins or more (had it been 1500m) it was the only option. Lining up for the race I saw a few faces I recognised including Iain, Will Newbury (who I had raced at Dambuster and knew he had a good run) and a few guys in the second 35-39 wave (I have a massive issue with split waves, with lots of people complaining about the shortened swim I feel this makes the race more uneven with two halves of the field racing under different conditions - a terrible decision by ITU). I had worked out that the second wave would be the fastest wave as there would be less congestion in the swim (due to the shortening of the swim the congestion at this stage never actually occurred), less on the bike and also on the run. 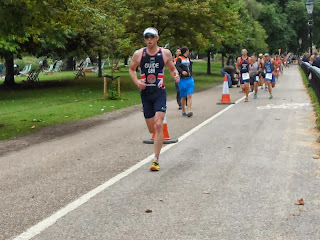 I hit the swim pretty hard and all the recent work on starts seemed to pay off and I settled into the lead pack in my wave (it turned out our wave was slightly slower than the second wave). I did get pulled back a couple of times but gave as good as I got and was pretty happy with the swim. I Felt better than expected as the change in swim rules for the T6 meant that there was less strain on my shoulders than in Pontevedra in 2011. The time was OK and probably the best I've swam this year but not where I feel I should be; having said that, I was pleased after having to take so long away from it and having to hold back at earlier events. I have to thank Blueseventy for the goggles, the dark tinted goggles I packed, and lack of sun would have resulted in even more off-course swimming (than usual, as my swim colleagues would confirm). I ran past a number of the faster swimmers into T1 and upon entry realised that the racking had changed since 5am and therefore my planned route was different and also the relative location of my bike. Lost in Transition. I must have dropped 20 to 30s at least in T1 as upon exit I was back down in about 18th overall. 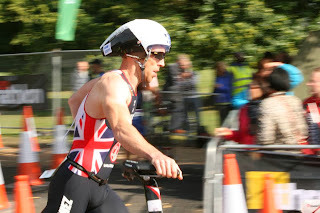 Looking back I was really lucky to have had such a blase´ attitude towards the race, had I been anxious this confusion and loss of the bike would have probably resulted in a DQ from throwing all my toys out of Hyde park (yes - i can throw quite a long way!!). I had no idea where I was in my wave now. I hit the bike pretty hard and passed a number of athletes all of whom seemed to be struggling to mount and managed to pick up a couple more before the first turn. I didnt get my feet in until I had reached the short 'downhill' section with the speedbumps as I wanted to gap as many people as possible so they couldn't use me for pacing. This has to be my tactic when I race as other's will use me as a pacing tool. I am pretty sure I passed most of the athletes in my wave within the confides of the park as I only came out of T1 a maximum of 37s down on the leader (if only I hadn't lost my bike) and proceeded to carve my way through the other athletes on the course. I had a number of advantages here, I love a blustery bike and had ridden part of the course in the wet two days before so had an idea of where I could push the bike (if only for a small part of the course - this advantage would only be mine for 1/2 a lap though, as soon as everybody had ridden it once I figured we would be back on even footing). I didnt really know where I was until we started lap 2 of the bike. Lap 1 also included some of the leading 40-45 AG males but in all honesty I didnt see too many as I was out on the bike quite early. I recognised Mark Whittaker (who came 3rd in the 40-45 AG) and kept out of his way during part of Lap 1 (while an American did his best to examine Mark's rear wheel in detail). Bike: 58:52 fastest in age by 49s and I went from being 1:27 down to 30s up overall. I had a feeling I was pretty high up but still didn't expect to be right at the sharp end. I hammered into T2 and began what I was sure to be a hard and short lived run. As soon as I started to run up the hill into T2 my hamstring started giving me all sorts of problems. 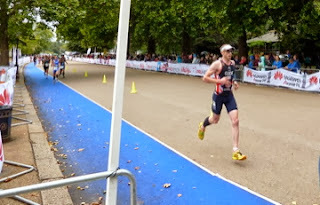 I was pleased with how I had done and could be happy with my swim/run effort if the race ended there. T2: 2:38 30s up on 2nd place - Maintained gap but others were getting close! The small inclines really pushed on the left hamstring on the way into T2 and it took the long straight for the tightness/pain to start to disappear. I settled into a rhythm and looked to start picking off athletes in front of me. I am used to being caught on the run, it's happened before and I knew they were coming, this time however, I was more relaxed; I never expected to be in the top 5 and just wanted to stay there if I could. "Just make it to 1 lap without getting caught and Im happy"
This kept playing in my head as I picked off athletes from earlier waves. I was getting constant feedback from Nick Dunn (who had picked up another World Champ Gold in the sprint on Friday along with Fellow Tri-Camp race team member Andy Tarry (http://www.tricamp.co.uk) from my Girlfriend (who was confusing the hell out of me as the splits were different to Nick's as well as Simon Brierley (a local coach whom I have known for a number of years). Lap 2 - "Just make it to 3 lap without getting caught and Im happy"
I was amazed at this stage. I hadn't been overtaken by anyone. Even guys on their first lap and I kept the same rhythm, same pace (or a thought) and didnt try to do anything too flash. My legs were tightening a little in the quads and I could feel cramp coming on. I didnt take much fluid on, just a little and kept dowsing myself to stay cool. Shouts of " youv'e lost your blinky" and "Go Guide" kept me amused on the ay round as I was wearing my Par-tri kit and kept me going. I heard some familiar voices but was concentrating pretty hard on just ticking over. I had to tell Julz and Nick to stop with the feedback as I had nothing left in my legs, I wanted to push but as soon as I did I would cramp a little so had to keep it on the edge. Any more and Id cramp and possibly DNF, not enough I might get caught. If they had told me my lead had dropped to 10s I would have probably bailed (and regretted it) as I still didn't know where I was. Lap 3 - Bugger all left. "Just make it to the end without getting caught and Im happy"
I ran the last lap on a knife edge, don't remember much else. Legs were cramping but I also knew that there was a second wave. Even if I did come top 5 in my wave I may get pushed to 10th overall. I managed to hold it together for an OK run, didn't drop as much time as I expected to the chasers and after the blustery bike was happy with the comparable time. The finish was a bit weird. I've always wanted to celebrate a finish but couldnt. I heard the announcement that I was first over the line but would have felt a right prat waving my hands about, then getting pushed back into 4th after the second wave finished. I point fingers at the ITU for ruining that moment for me - I am a little bitter in all honesty (if you can't tell). When I actually got to the line however I don't think I could have celebrated much as my legs cramped completely and I ended up being assisted off the finish. I was fine, just couldn't stand up and completely embarrassed by it. I finished and won the wave by 55s and honestly couldn't believe I had come that high up. I kept waiting for something to occur which meant that I would lose the top spot and despite my mates coming up and telling me I'd won the wave I didn't feel like I had. After about 5 minutes I heard that Mexican athlete Eligio Cervantes (check this guy out!) had popped up into second position which confirmed my overall win by 45s or so; certainly not something I foresaw that morning! I last raced Eligio in 2009 at the AG event in Australia where he finished a good 23 places above me. Happy, shocked, over the moon, surprised, guilty (for not feeling it, not being fit and for it being a second thought); all feelings that I had post race, however upon reflection I know that over the last few years I have worked hard, done some things right (and tried some things that didn't work). I have had a World Championships on the wish list for a number of years and know how much harder the Worlds are than the Euro's. The Hyde park event was billed as being very competitive due to the level of GB athletes and I think this is shown by the fact the fastest overall athlete was another ex Olympian. 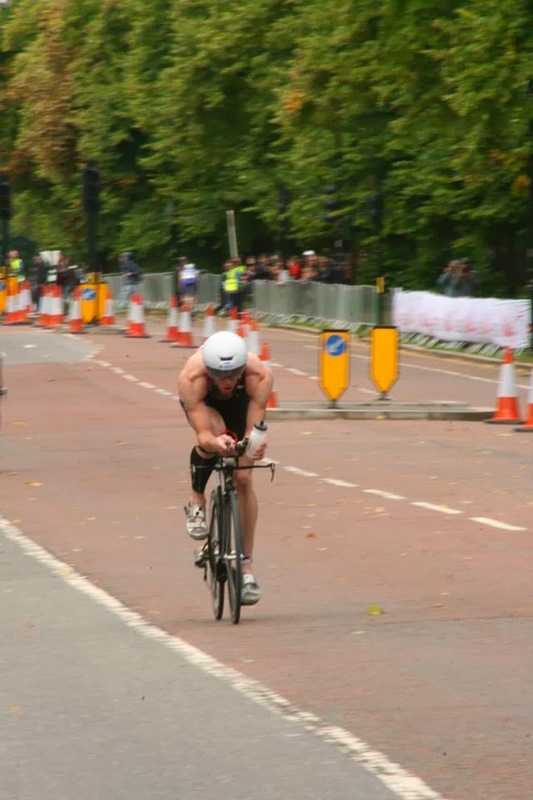 As an ex-National League Basketball player I took up triathlon as a development from cross training. I won my first Sprint distance race and placed second in my first Olympic distance. Since then I have raced the UK Elite Superseries coming 24th in the National Elite Champs, raced Vegas 70.3 WChamps and helped Paratriathlete Iain Dawson to World, European and National Titles. In 2011 I obtained Pro authorisation from the BTF and am pushing my development by stepping up to top level competition in 2012. Aside from this I am a L1 Swim and Tri coach and Professional Lloyds Broker. We Are. Travel theme. Theme images by Josh Peterson. Powered by Blogger.